As a recruiter, I understand how important it is to have a constant pipeline of candidates to reach out to when you get hit with job orders from your clients. It can be difficult to maintain a steady balance of recruiting for your immediate needs, while at the same time thinking about your future needs and taking proactive action. When it comes down to it, proactive recruiting is the same as networking. When you are successful at networking, you will notice that your proactive recruiting efforts are much simpler. In order to grow your networking success, there are several things that you need to be sure you are including in your day to day work. As you speak with top talent, regardless if they are interested in your current opportunity, be sure to add their name to your A list. Even though a candidate may not be interested in your current opportunity, their situation may change at some point down the road and you want to be sure that you do not lose track of that candidate. By maintaining a list of your top choice candidates, you make your networking efforts much simpler. When you receive another job order in the future, rather than having to dig deep into the memory banks in order to remember a candidate’s name, you will simply go to your top talent list and be able to immediately reach out to that candidate to check for interest in your new opportunity. Don’t just stop at keeping a list of top talent. If you truly want to take advantage of your list of A candidates, you must take action and reach out to these candidates from time to time. Recruiting Trends recommends keeping your top talent informed of job openings and requesting referrals. However, I believe in taking it a step further. Rather than only contacting your candidates when you have a job opening, reach out to them simply to touch base from time to time. Take time throughout each month to work your way through your top talent list, calling and reaching out to each candidate. Simply calling to check and see how things are going or to wish them a happy holiday will strengthen your relationship with candidates, making it easier for them to trust you when you call them about opportunities. Not only will staying in contact with your top talent help them to trust you as a recruiter, but building that strong relationship with them will also increase your likelihood of receiving top referrals from your candidates. In recruiting, it is always important to make sure that you are known throughout your industry. Throughout my experience as a recruiter in the Semiconductor industry, many engineers and technicians knew me simply because my name was passed around to talent in the industry as the person to contact when searching for new opportunities. By attending job fairs, making visits to areas where my recruits were working and having a cup of coffee with them between meetings, I was able to develop a strong relationship with my recruits. They trusted me and still, to this day, contact me to touch base on anything new in the industry. It is important that you are at any networking events, meeting talent. When someone is able to put a face to a name, your relationship will grow stronger. Make sure that you are being seen and that you are known in your industry of recruiting. 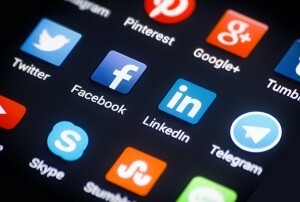 Social media is all the rage in recruiting today. If you are not using social media in your recruiting efforts, you should implement these tools into your recruiting strategy immediately. LinkedIn is one of the platforms that I always experienced a lot of luck with. Having the ability to contact top talent who may not have their contact information posted anywhere else is a key element to being successful as a recruiter today. Facebook and Twitter are also social media platforms that I have had luck with in the past. However, if I can make one suggestion, it is for you to not only contact talent through social media when you have a job. Take time to check in with top talent on social media, wishing them a happy holiday, or checking in to see how things are going. Today, you will find helpful tools on many different social media platforms that will inform you when your connections are celebrating birthdays, work anniversaries, or have accepted a new job. Take advantage of these tools and congratulate your connections when you see these notifications. Your connections will appreciate the fact that you took the time to message them and that you were thinking of them. Again, this is key to developing those strong relationships and expanding your network. What are some ways that you have improved your networking strategy? Please leave your tips in the comments below.